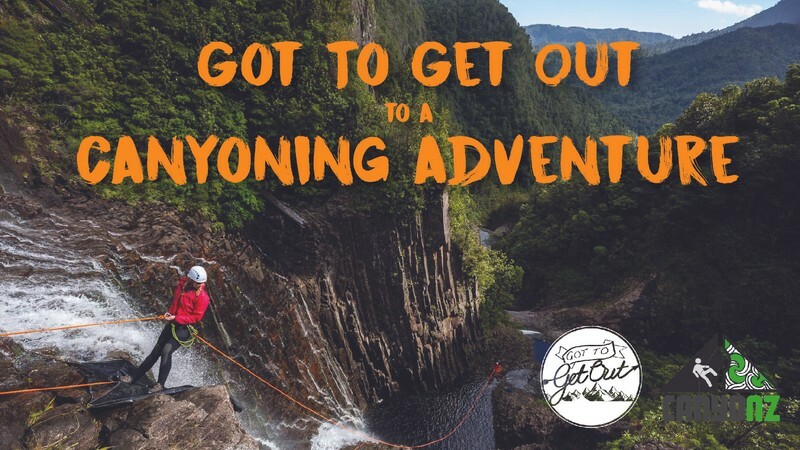 On Sunday 17th April Got To Get Out has arranged a trip to perhaps the biggest, most exciting and challenging adventure activity in New Zealand! Canyoning in the Coromandel! Check out the video here on Youtube. Cost for all of this is a special discounted $300+share of gas (tbc pending numbers). Normally $360 including lunch and all equipment provided. - attendees will be sent a gear list. But all canyoning gear is supplied. You will be challenged to do things that you may have never believed you would ever do, however, this does have the consequence of a positively mind blowing and unforgettable day out! With professional canyoning guides and small groups, this is the ultimate canyoning experience and it doesn't get any better than this! The tour is aimed at people with a real taste for adventure and a good level of fitness (comparable to a day of hiking). Big jumps are optional, abseils/rappels are not. The journey starts at the bottom of the valley floor with a brief korero (talk) about the area history, including the pre-european and kauri logging history. Then the hikoi (walk) begins as we ascend to the top of the river and into the top of the canyon where the views are grand and the experience of what you are about to do finally hits you! We then put our gear on and start the descent after receiving safety instructions, an abseiling lesson and a traditional karakia (prayer) before dropping over the first 30 metre waterfall.